Customers screamed at them when they started, but they kept buying. 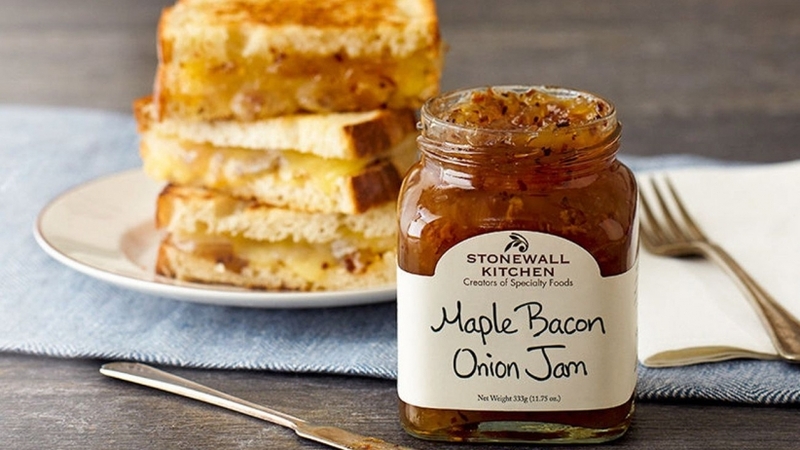 Jon King and Jim Stott founded Stonewall Kitchen, which is an almost $100 million business. But 25 years ago, the business (and life) partners began their company with a series of happy accidents. How’d you guys get started? Jon King: For the holidays one year, Jim and I wanted to make homemade jam and sauces. I was working part-time at a greenhouse and brought our leftovers in. A woman suggested that I sell it at the local farmers’ market. I had huge student debt, so a few extra hundred dollars on a Saturday? Totally game. What was your approach at the market? We never had a product line -- we just made what we wanted! If we were making strawberry jam and it didn’t set, we’d call it strawberry syrup. That’s similar to how you created one of your most popular products, Roasted Garlic Onion Jam, right? We were making garlic relish for hot dogs and burgers, and it called for a certain amount of sugar, to sweeten it a bit. I added the sugar, but Jim didn’t know, so he added the sugar, too. The batch just set -- it was completely solid. But I was like, “We are not throwing this out; we made 120 jars!” So I called it jam and told everyone it was for bagels and cream cheese. And people loved it! So we just kept telling them it was a brand-new product for crackers and cheese. What was your biggest lesson at the farmers’ markets? This woman came up to us -- she later became our mentor -- and asked if we were selling wholesale. And I said, “I don’t even know what that means!” She bought everything in our van that day and sold it at this old family farm in New Hampshire. I drove over to see the display she had made, and she had doubled the price of everything. And I just thought, Aha! This is the difference between retail and wholesale! So the next week at the market, we upped our prices from $3 to $6. Our customers screamed at us, but they kept buying. So how did you go from the market to retail? Crate & Barrel was our first large national account. They called and ordered 2,000 jars of marmalade jam. We were still doing everything by hand, so we told them it would take three months, and they said they’d wait! We made the jam, and I sat there one night writing labels. I was like a machine -- I could watch Entertainment Tonight and drink wine and just write as fast as I could. And I wrote “Orange Cranberry Mamalade” on all of them. I misspelled marmalade! When they called to tell me, I did some quick thinking and said, “We’re from Maine; that’s how we say it here!” They loved it. Thank God.